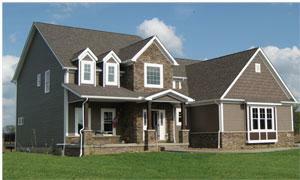 Although Legacy Homes is a custom builder, we have several different home styles that might help you get started in planning your home. For more information on any of the below listed homes, click on the 'more information' link to see floorplans, interior photos, and other information you might find useful. 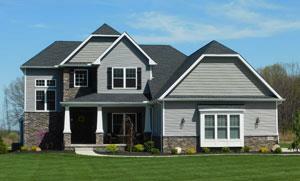 Please note all home designs and floorplans are copywritten and the sole property of Legacy Homes of Medina. active lifestyle. Click here for details. room, wet bar, wine room, exercise room and great room. bedrooms and 2.5 baths. Great floor plan for entertaining. 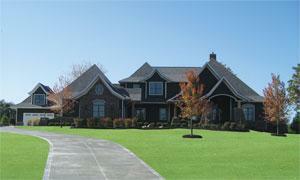 Huge chef's kitchen with island and sumptuous master bath. room and much more. For more information, click here. 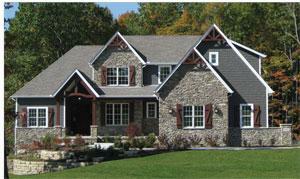 The Windham - French country design - rustic interior. laundry. For more information, click here. more. For more information, click here. garage. For more information, click here. area/great room with beamed ceiling and more. fireplace / great room. Click here for details. 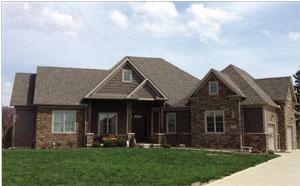 The Dublin - Two-story, 3,072 square feet, 4 bedrooms and 3.5 baths. Open, airy, rustic styling with contemporary flair. First floor master, covered front/rear porches. Coffered great room with stone fireplace and lots of windows. Click here for details. 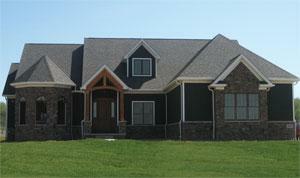 The Grayson - Two-story, 4,152 square feet, 6 bedrooms, 5.5 baths. 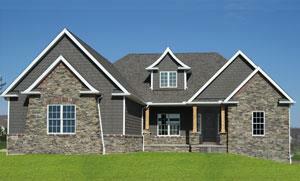 First floor master suite with luxury bath, great room with fireplace and dramatic beamed ceiling with brick accents. Open kitchen with eat-in breakfast area, island and walk-in pantry. Click here for details. 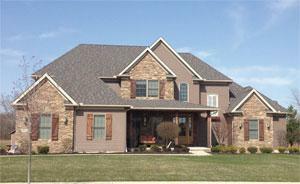 The Cavan - 4-5 bedroom, 4 full and 1 half baths with 3,675 square feet plus additional 2,300 square feet in finished basement. First floor master, custom cabinets with exposed barn ceiling, finished basement modeled after Castle in Ireland with private wine cellar. 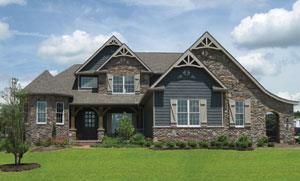 Our current model in Blue Heron. For more information, click here. The Savannah - 3-4 bedrooms with 3 full and 1 half bath, 2900 square feet with additional 2,700 square feet in finished basement. 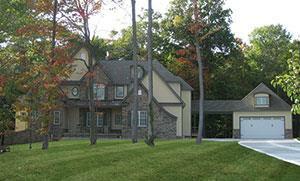 Six-car garage, step-up private den, finished basement with wine cellar, theatre and putt putt course. For more information, click here. 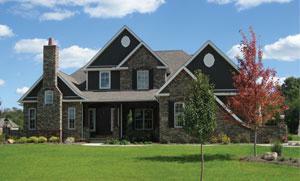 The Bluffton - Two-story, 3,079 square feet, 4 bedrooms, and 3.5 baths. 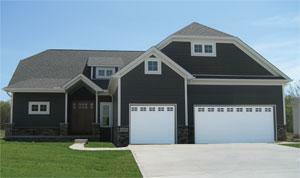 First floor master, great functional floorplan, covered front porch and rear deck. For more information, click here. 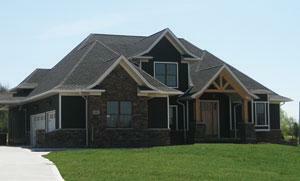 The Soho - Two-story, 3,200 square feet, 4 bedrooms, and 3.5 baths. 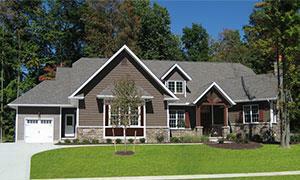 Beautiful exterior styling and perfect layout featuring private study with prominent fireplace. For more information, click here. 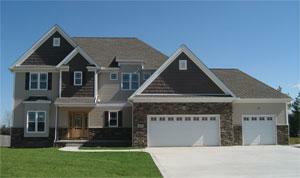 The Vanderbilt - Two-story, 3,288 square feet, 4 bedrooms, and 3.5 baths. 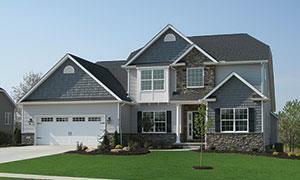 First floor master, 3-car side entry garage and optional rear deck. For more information, click here. 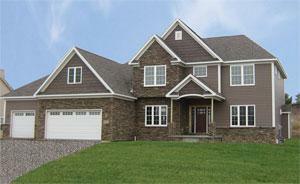 The Aspen - Unconventional two-story, 3,355 square feet, 4 bedrooms, 3.5 baths. Contemporary design with a lot of unique features and expandable floor plan. For more information, click here. 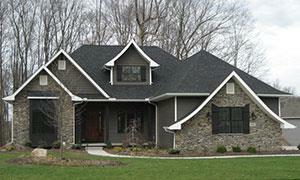 The Pagoda - Very creative two-story, 6,900 square feet, 4 bedrooms and 3.5 baths. 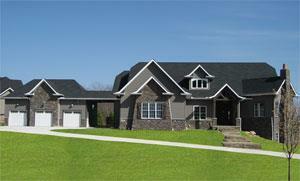 First floor master, basement entertainment center, mud room with drop zone and built in lockers, and much more. For more information, click here. 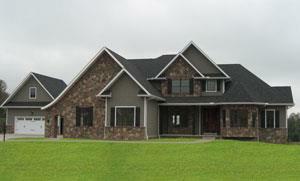 The Astoria - Two-story, 2,957 square feet, 4 bedrooms and 2.5 baths. Arched openings in great room and kitchen/breakfast areas, beautiful private master bath with jetted tub and separate shower, and much more. For more information, click here. 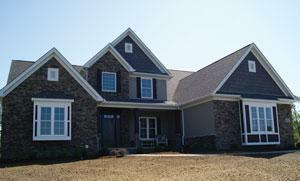 The Charleston - Two story, 3,100 square feet, 4 bedrooms and 3.5 baths. 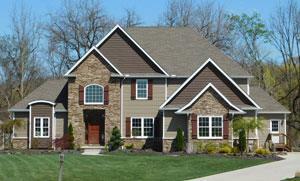 First floor master with vaulted ceiling, very functional floor plan, two staircases to second floor and more. For more information, click here. 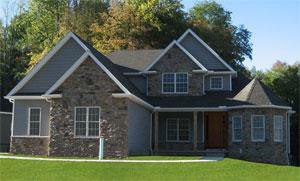 The Riviera - Two story, 3,500 square feet, 4 bedrooms and 4.5 baths. First floor master suite, 1,600 additional finished square feet in basement, detached 2-car garage and 3-car attached and more. For more information, click here. 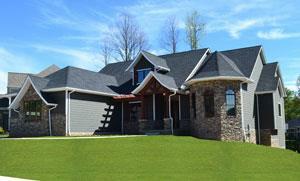 The Windham II - Single living upscale ranch, 2,674 square feet, 3 bedrooms and 2.5 baths. 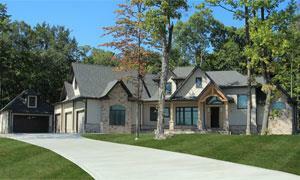 Unique octagon-shaped private study/library, open functional floor plan, volume walls and ceilings, and much more. For more information, click here. The above homes are a sampling of what we have constructed around the area and what our customers have asked for us to build. We encourage you to take a look at the different floor plans, styles, and amenities to help you decide what you want in your new Legacy built home. We build homes to fulfill dreams and lifestyles so if you like to entertain, perhaps a more open plan will serve you better. If you like your privacy, there are layouts that accommodate this as well. If you like to sit outside and enjoy a nice cozy fire pit, we can create an outdoor area that will literally be the envy of all your friends and family. Whatever you want, we can make it happen. We look forward to meeting you. Be sure to fill out an information form under Contact Us so we can get to know you better.